Germany Kent, also known as The Hope Guru™, is a widely respected journalist, actress, producer, activist, and philanthropist. Kent is a multiple award-winning speaker who was previously listed in Who’s Who Among Young Americans. As an accomplished entertainment journalist who has interviewed Oscar, and Grammy-winning performers, pro athletes, and business leaders, Kent has the personality, poise, and personal stories to win over any audience. She has interviewed over 200 celebrities, including the likes of Maria Shriver, Cathy Hughes, Gloria Allred, and Nigel Lythgoe just to name a few. Kent is an inspirational speaker who empowers others with her dynamic messages on personal growth, and positive thinking strategies. Formally trained in both business and journalism, Kent is able to speak on business etiquette, and personal branding. Kent is an in-demand social media pundit and trusted media resource who has been featured and interviewed as a national authority in Inc. Magazine, Fast Company, Hartford Business, Yahoo News, and countless others. 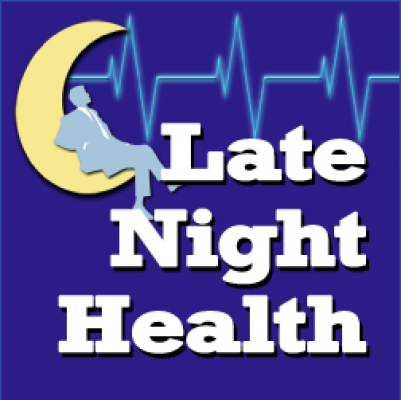 Guest appearances on radio and TV include: NPR, iHeart Radio, The List, CBS, ABC, NBC and FOX. In 2015, Kent was listed as one of the Top 100 individuals in Social Media Marketing. In 2016, Kent was named on the power list of Top 100 social media experts to follow. She is the bestselling author of ten books. Her latest book, You Are What You Tweet, has won three International book awards. Kent has achieved commercial and print success appearing in company ads for Target, Nike, Verizon, and Disney, and has made multiple appearances on hit TV shows, in movies, and industrials. Through her tireless humanitarian efforts, Kent has given new voice to today's youth and advocates to end bullying, and bring awareness to mental health. She writes, and speaks about social media, and the impact of cyberbullying on today's youth. In May 2017, Kent was selected by Soledad O’Brien's team to speak to youth at the annual PowHERful conference in Atlanta. Kent is dedicated to empowering youth, encouraging participation in the Arts, fostering support of literary programs, and her commitment to ending bullying. 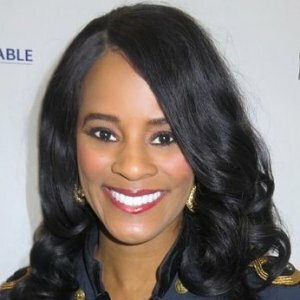 She is relentless in her service to non-profit organizations, community outreach efforts, and dedicated humanitarian efforts reaching back to help others and igniting awareness for multiple causes. Kent’s influence is far-reaching with the number of people she has impacted, and she continues to blaze new trails! Empower Magazine honors Germany Kent with a Global Philanthropy Award for "outstanding contributions" to society. AmericanBookFest.com announced the winners and finalists of THE 2017 INTERNATIONAL BOOK AWARDS (IBA) on May 22, 2017. Jeffrey Keen, President and CEO of American Book Fest, said this year’s contest yielded over 1,500 entries from authors and publishers around the world. Alpha Kappa Alpha Sorority Inc. Eta Theta Omega Chapter honors Germany Kent with a Lifetime Community Service Award for global community service. The Literary Classics selection committee is proud to recognize this year’s titles in literature which exemplify the criteria set forth by the Literary Classics award selection committee.In this highly competitive industry these books represent the foremost in literature in their respective categories. Kidz Rock Awards honors Germany Kent with "Humanitarian of the Year" for literary efforts and community service. 'Literary Matters' - Atlanta Fulton Public Library, non-profit support. "Germany Kent is inspiring and electric! She shows you how to reveal the beauty of your spirit and embark on a journey of self-discovery and positive life transformation." Marilyn Trammell, Sr. Web Developer | VHA Inc.
"Germany Kent Great presentation! This would be great for high school and grade schools too!" Dr. Frances D. Carter-Johnson, MD-based Scholar-Practitioner | Evaluation and Assessment Solutions, LLC. Evan McCullough, Founder | STOP, Inc.
"[Germany Kent] Thanks for coming the audience loved your speech!" “YOU ARE WHAT YOU TWEET is a refreshingly sensible and user-friendly book. You do not have to be a Twitter expert to see how exceedingly astounding this gem of a book really is”. "[Germany], I want to thank you so much for yesterday. You covered some very important points. Your spirit was so needed and I'm sure it was God's sent. Again thanks for your wonderful speech." She [Germany Kent] is a beacon of hope. She helps others to manifest their dreams and realize their worth. "Germany Kent is a pleasure to work with. A dynamic speaker, she holds the attention of the audience throughout the presentation and her knowledge of the world of social media branding, etiquette and marketing is extremely useful." "Great job [Germany Kent]...promoting love in life!" "Germany was energetic and informative. 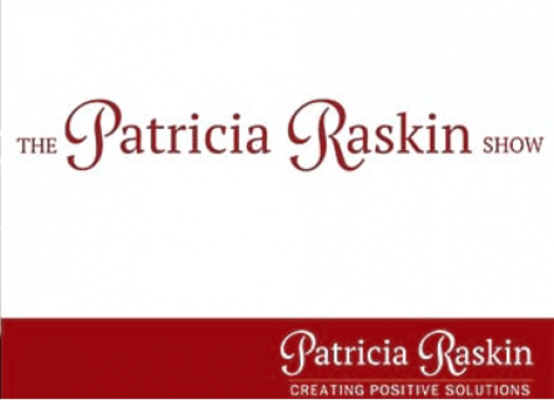 The information she provided during our conference was not only engaging and entertaining, but eye-opening facts that made her message that much more interesting." "Filled with allure and insightful tips, this [You Are What You Tweet] is today's etiquette book for the digital age." "Thank You Germany! Keep Shining Your Radiant light Germany Thank you for always blessing us with your Beautiful Heart and Light and Love." "Dear Germany, You are up lifting. I'm so glad to have had the chance to hear your speech, it was amazing. It’s always inspiring to see women in successful roles and it seemed that you’re not only successful, but that you also enjoy what you are doing!" "Thanks, Germany. Sometimes we never know how we affect the life of another. You are so good about "mothering" those whom you come in touch with also. And showing appreciation for everything." “Your speech was right on target. Some of the things that you said were meant for me. I'm so glad that you said what you said because somebody else probably needed to hear it too. Thank you so much Germany." "You are what you tweet." - [Germany Kent] Great advice on being responsible users of social media! Social media [and] cyberbullying. "[Germany] you are a true source of inspiration." "Germany Kent Excellent message!! Keep spreading this message from college to middle school. It's very much needed." "Germany I'm going to use this [information] in my middle school class." "[Germany Kent], I must say, you are an amazing role model & inspiration. May God continue to bless you." " [Germany Kent] I enjoyed working with you and your good energy! Peace and blessings!
" [Germany Kent] Loved meeting you. You've got loads of great energy! Thank you for coming to Spanx.
" [Germany Kent] You are a positive voice that also espouses belief in God. Thanks for all you do to make a difference for so many!!" "[You Are What You Tweet book] Opened my eyes to power of social media. We thank God for you Germany Kent." "Thank you for all you do for our teens Germany Kent." "I would highly recommend Germany Kent to speak at your next event if you are looking for an uplifting experience. Her delivery is amazing and she is a resource of insight, inspiration and fun. The way she was able to energize and enlighten us was so motivating. Hands down, one of the best presenters I have seen." "Thanks Germany Kent for attending the Batesville Send off party! So cool seeing alumni doing cool things & giving students encouragement!" " [GermanyKent] You are unique. No one can speak with your voice, say your piece, smile your smile or shine your light!" "[Germany Kent] Thank you for your wisdom. You speak life. May God continually bless you and your message." "In her latest book, Germany Kent shares valuable tips to help you become Twitter savvy. More details tonight at Fox 30 News." Enjoyed catching up with the beautiful and talented Germany Kent! See our segment today on Mid Morning Aundrea. "Germany Kent, thank you for being such an inspiration I hope & pray that one day l'm half as influential as you are to the masses." "[Germany Kent], You are truly an inspiration to our generation. God bless you." "Thank you Germany Kent for making an impact in these young girls life." "Ms Kent. May God bless you. You're an inspiration to many...lots and tons of love"
Conversation with Germany Kent. Finally someone has put together a book that discuss how to build character and heart into our social media. Ms Kent, in her new book: "You are what you Tweet" discusses how to bring positive affirmation not only into your own life, but into social media. Here today to share her expertise on personal development and social media strategy is author, entrepreneur, social media influencer, and Hollywood commercial actress, Germany Kent. 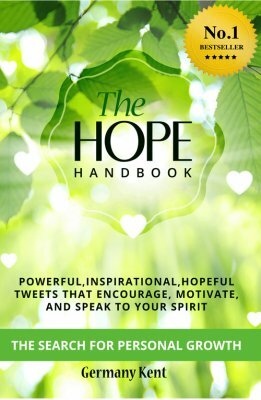 You Are What You Tweet, Germany Kent, talks with Mark Alyn about hope. The discussion includes a look at social media like Twitter taking control of young people's lives, how can Twitter improve lives, and how social media is a new form of communication. Join in the conversation as we learn a new way to communicate in the 21st century. In the first half hour Patricia will be joined by Germany Kent, author of YOU ARE WHAT YOU TWEET which is a cheerfully optimistic book filled with humor and strategies that will help you become Twitter-savvy. This inspiring book serves as more than a guide to finding your niche on Twitter. It also gives you the tools you need to master this remarkable communication tool and connect with intriguing people around the world. This inspiring, encouraging book will teach you how adapting a new mindset and using positivity can propel you to becoming influential on social media and greatly enhance your own life. 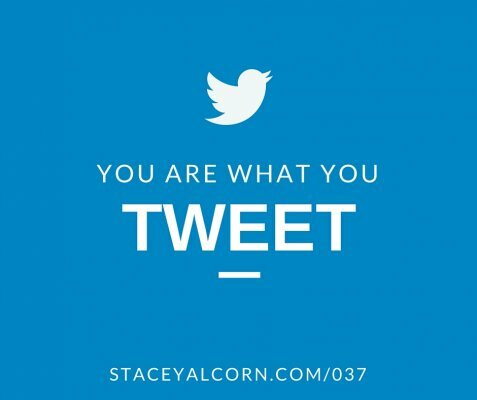 You Are What You Tweet teaches you how to engage your audience with quality content, making it nearly a prerequisite for you to be in the right state of mind. After reading this book, you’ll learn how, surprisingly, Twitter can help you to find yourself and feel supported to be who you are. On episode #339 of Business Insanity Talk Radio, we first talk about the power of Twitter and how it can be an essential marketing tool for small business. Segment 1: Germany Kent is a social media influencer, author, and entrepreneur. A corporate executive turned successful Hollywood commercial actress and media personality, she has interviewed Oscar and Grammy-winning performers, pro athletes, business leaders and newsmakers. She is the author of the new book “You Are What You Tweet: Harness the Power of Twitter to Create a Happier, Healthier Life”. Internationally-known social media anti-cyberbullying advocate Germany Kent is a master motivator, social activist and award-winning speaker. The Tech Trailblazer has been seen on NBC, CBS, ABC, CW, The Doctors, FOX, and NPR. In this video she speaks on social media etiquette, digital branding and cyberbullying at the 2017 Stamps Scholars Conference at Georgia Institute of Technology. 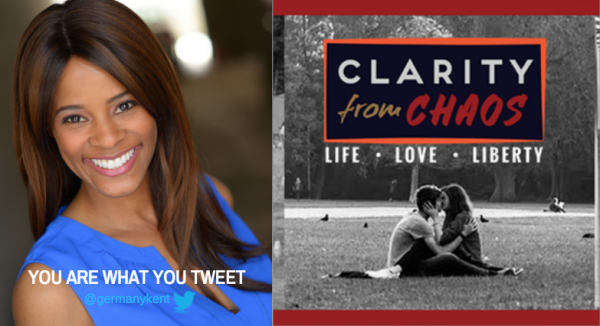 Multi-Media Personality Germany Kent: “I aspire to inspire,” says the Mississippi native who has been busy promoting her 10th critically-acclaimed book, You Are What You Tweet: Harness the Power of Twitter to Create a Happier, Healthier Life.